We get it, not everyone can afford a brand new car let alone a 2015 BMW vehicle but that doesn’t mean their dreams of driving around in a head turning BMW has to be dashed. That’s because at BMW of Bend, serving the Prineville and Redmond areas we have a slew of certified pre-owned BMW models waiting for you to check out and test drive. So why should you consider a certified pre-owned BMW? Well for starters every certified pre-owned BMW goes through a rigorous vehicle inspection and is backed by an up to six year or 100,000 mile Protection Plan. In order to be able to carry the certified pre-owned BMW title the car has to be a newer model, have less than 60,000 miles, and pass a test against our inspection check list. 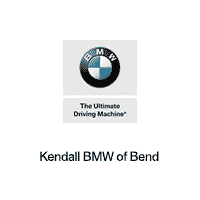 At BMW of Bend, serving the Prineville and Redmond areas, a BMW-trained technician will inspect the vehicle looking at everything from engine performance to if the glove box operates properly. Every certified pre-owned BMW also comes with a vehicle history report that you can check out online. Getting behind the wheel of a certified pre-owned BMW will give you peace of mind knowing you are buying a car or truck that went through a multi-point inspection by an experienced BMW technician. But the peace of mind doesn’t end there thanks to BMW Roadside Assistance which gives you on-the-road assistance 24 hours a day 365 days a year. That means if your BMW breaks down on New Year’s Eve, help is just a phone call away. To put your mind at ease even more, certified pre-owned BMW models also come with the BMW Assist Emergency Call feature which includes automatic collision notification and Teleservice for the duration of the certification. These are just a few reasons why a certified pre-owned BMW is right for you. So what are you waiting for come on down to your friendly BMW dealership today!